Seneca Niagara Resort & Casino is located on the US side of Niagara Falls, and it’s the perfect addition to your Niagara Falls bucket list. It delivers a complete Niagara Falls hotel vacation experience including relaxation, cuisine, entertainment, nightlife, panoramic views, and easy access to the most popular attractions in the Niagara Falls area. With all of that under one roof, they are the ultimate hotel staycation, worthy of their own bucket list. Check out our favorite things to do at Seneca Niagara Resort on our Seneca Niagara Resort Bucket List. 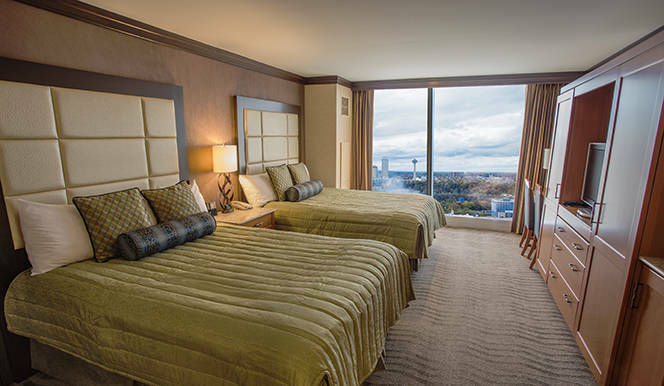 Seneca offers 604 deluxe rooms and suites with distinctive amenities and luxurious touches. All rooms feature upscale amenities including a pillow-top bed, oversized shower, flat-panel HDTVs, HD programming including new release movies and music on-demand, and complimentary high speed WiFi access property-wide. But you can’t stay at Seneca Niagara Resort without experiencing the falls view. Each night, we sat next to the window and looked out at the river rapids rushing by, the mist from the falls, and the magical sunset. It was nightly entertainment without leaving the room. We also watched the Niagara fireworks from the comfort our our room. Does it get any better than that? From decadent steakhouses and authentic Italian fare to cozy coffee shops and a laid-back buffet, you can choose from a collection of exciting restaurants at Seneca Niagara. 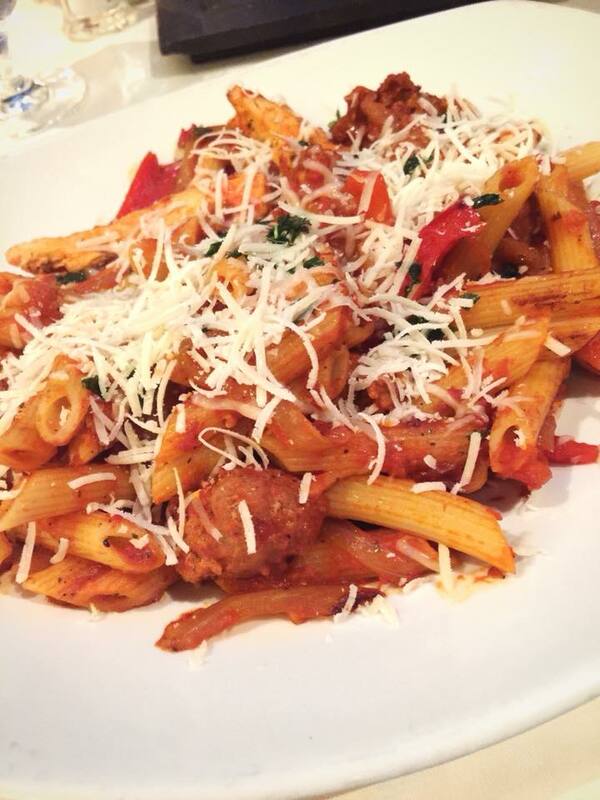 Our favorite, bucket list worthy restaurant at Seneca Niagara Resort is la Cascata. pepper, sautéed onions, and mouthwatering penne pasta. We finished off the meal with a shared Italian cheesecake. From the appetizers to the dessert, la Cascata delighted us every step of the way. Seneca Niagara Resort & Casino also features world-famous performers, shows, concerts, and bands, and you can put your luck to the test in their casino. From regular performances to record-breaking ceremonies like the upcoming Largest Marriage Vow Renewal Ceremony in the “Honeymoon Capital of the World, Seneca Niagara Resort is an entertainment haven. 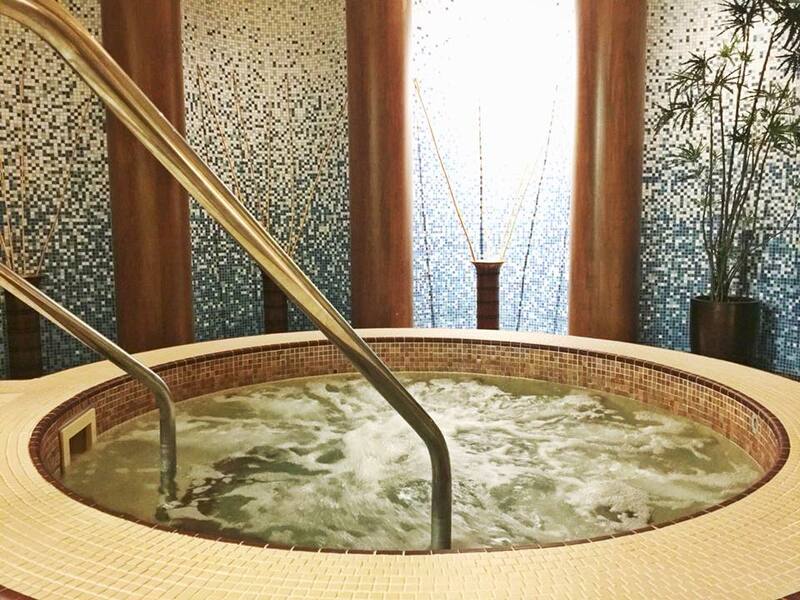 When you’re exhausted from all the Seneca Niagara Resort stimulation, you can head to the spa for one of their many treatments. Included with any spa treatment, enjoy the use of the private area including sauna, steam room, and whirlpool tub. While a massage is always a treat, opt for their customized facial instead. Whether it’s dry, oily, sensitive, or combination, this facial is the perfect start to a beautiful complexion. 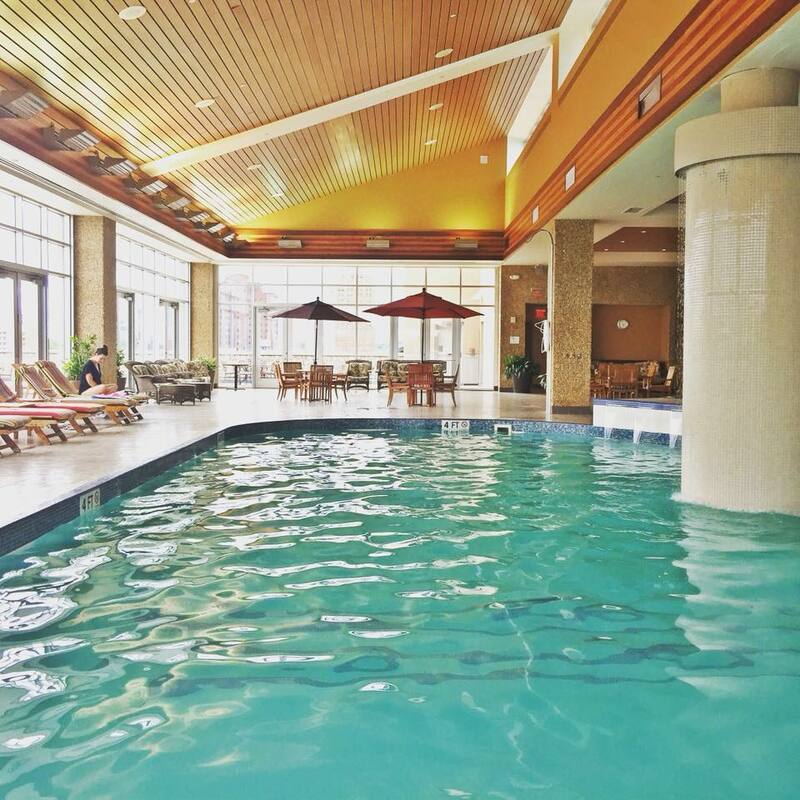 Even if you choose not to have a spa treatment, you can still relax at their indoor pool, flanked by two steamy whirlpools. While children are welcome in the pool, only adults over the age of 18 can use the whirlpools. It’s a delightful place to spend a sun-filled afternoon with a great view. 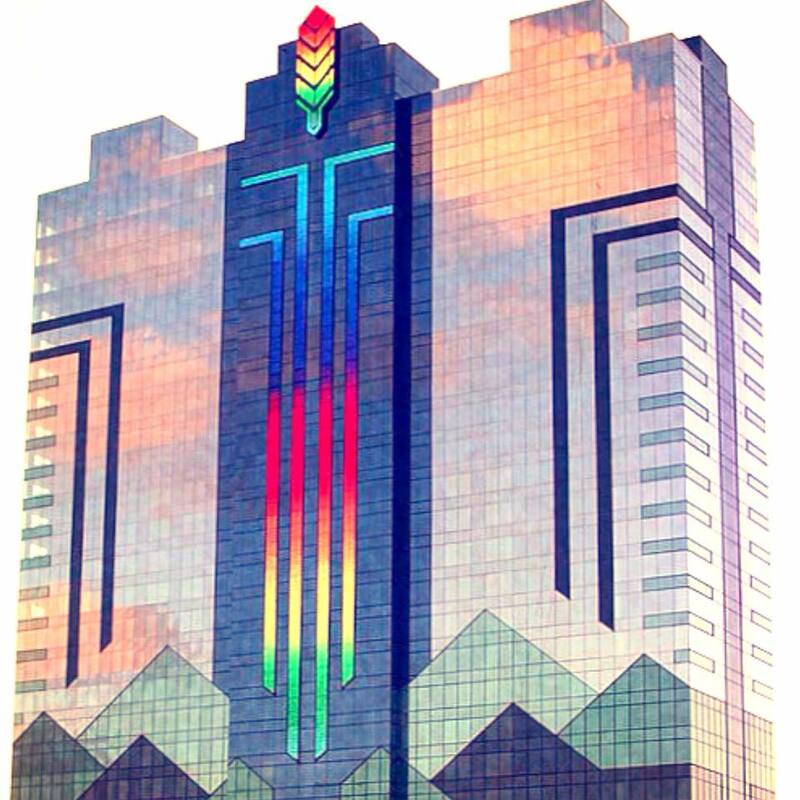 Which Niagara Falls Hotel Is For You?